Andy was born in Columbia, SC in 1984, but grew up in Blacksburg, Va, (home of the VT Hokies). With a piano in the house, he found a love for music developed in between video games and sports. At age 9 this came to fruition with the Montgomery County Boychoir, and singing has been a part of his life ever since. He first discovered quarteting in high school singing the National Anthem with 4 friends, but wouldn’t get ‘hooked’ until after finding his first barbershop chapter, The Virginia Gentlemen of the Roanoke Valley. He hasn’t gone anywhere without finding a barbershop chapter since. Andy studied Music at Radford University (technology, education, piano, and voice) attaining his BS in Music. He made multiple appearances at ACDA conventions and is a member of the Pi Kappa Lambda National Music Honor Society. He received further training as a piano technician at the North Bennet Street School in Boston, MA. While attending grad school in Boston, he benefitted from singing with great chapters such as the Nashua Granite Statesmen under Steve Tramack, and the Sounds of Concord (now called Vocal Revolution) under Dan Costello; following college he sang with, the Cleveland Sound of Tennessee chorus under Chad Guyton, and the Atlanta Vocal Project under Clay Hine. Andy had found his love, honing musical craft in the barbershop style. 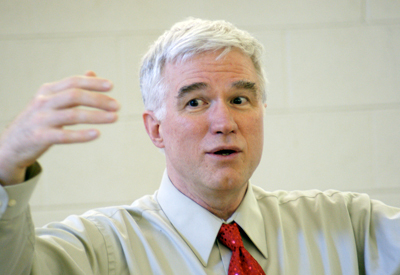 He has served as an educator at numerous Youth in Harmony camps in Dixie and in the Mid-Atlantic Districts. While in Atlanta, he coached local high school groups in their “literary competition”, which pitted high school boy’s quartets and girl’s trios against each other. Andy also coached a boy’s quartet at Calhoun High School which won the state competition in 2011. Although he enjoys directing, some would describe him as a Tag Fanatic--trading many hours of sleep in the wee hours of the morning to find one more perfect chord chain. He loves attending BHS conventions, but more often than not, you’ll find him in the lobby busting a chord with 3 friends. He is fun, a supporter and a natural teacher for those around him. 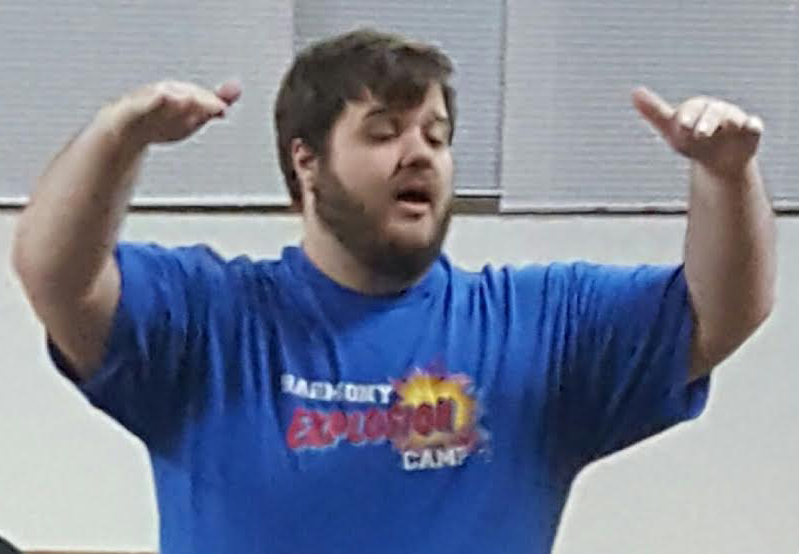 In addition to directing the Land of the Sky Chorus he is a member and Assistant Director of the Johnson City chapter and a member of Carolina Vocal Express, which recently placed 16th on the International Stage. Heart of Ohio Chorus -- program VP, baritone section leader. Big Apple Chorus -- front row captain, assistant section leader. Carnegie Hall 10 times; International Competitor Six times; Russian tour 2001. Palmetto Vocal Project --International Competitor in Las Vegas. Baritone, Quartet: “Supersonic” named 2014 “Most Entertaining Quartet” and 2015 named District Champions in the North Carolina/South Carolina District. Miami University Men’s Glee Club. Traveled to Europe with the chorus to sing in Germany, Norway, Sweden, and Denmark. Soloist for the glee club. Sang with the Cincinnati May Festival Chorus under Leonard Bernstein (1 year) and James Levine (2 years). Chuck Greene, was a lifelong barbershop harmony aficionado. Chuck was our Director for nearly 7 years in his third evolution of directing the LOS chorus, for a total of 20 years. His Compellingly Attractive Chapter Meeting progrm [CACM] remade this chapter and chorus, and many others across the barbershop world. His philosophy was, "Seek, develop, use and enhance the skills and talents of each member to such an extent that progress seems limitless." 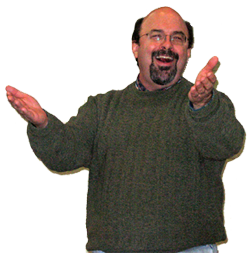 Chuck had over 23 years experience directing men’s and women’s a cappella choruses in barbershop styled singing. His music education included undergraduate studies in Applied Voice at Mars Hill College, over 40 adult education voice classes and numerous vocal and visual coaching sessions with many of the finest a cappella performance coaches in the nation. As a performer, Chuck had sung bass in two District Championship barbershop quartets, competed at the Barbershop Harmony Society’s international level six times in four different quartets and finished in the “Top 20” twice. His quartets had performed in over thirty states across the country. Read how he began is journey into Barbershop, published in the 1992 edition of The Harmonizer, the Barbershop Harmony Society's official publication. As a coach, mentor, teacher and director, Chuck was widely sought. He had facilitated workshops for Barbershop Harmony Society members and Sweet Adelines throughout the United States and Canada. Chuck coached dozens of choruses and quartets, trained music directors and performance coaches and taught at many harmony education schools including the internationally renowned Harmony University, as well as being a founding member of the Harmony Brigades. He was one of 25 directors interviewed for the book, "Visions of Excellence - A Dialog with the Finest Directors from the Barbershp Harmony Society", published in 2013. Professionally, Chuck was an entrepreneur, visionary leader and turnaround strategist, and widely known for his encouragement of one's passions. The Asheville chorus was his home for many years, and his "home base" for most of his workshop activity models. We sorely miss him.